Introducing J-Man and Matt to the GEARS Crew, getting 7.5 MPG while hauling guns to the range, EPIC Drone footage and so much more! The GEARS Crew is working hard to built a YouTube channel to bring you our latest reviews. It helps us out, oh so much, if you would click here to subscribe to our channel. Thank you. The GEARS CREW are back at it again, saving the world from the evils of ectoplasm and the Ghosts who cause it. CMMG was kind enough to send us out the conversion kit to test along side the #WindhamProject. We wanted to bring the caliber count up from the stock 4 calibers of 5.56NATO,7.62x39mm,9mm and .300BLK to a fifth caliber with the .22lr conversion kit. CMMG makes a few versions of this kit to handle the left handed rifles. Just swap this drop in conversion with your bolt carrier group and you will be ready to shoot .22LR. Ships with 25rd 22LR magazine. All Stainless Steel Construction, includes a 25rd Magazine. I think this is an awesome training aid. Trying to introduce people who have a fear of guns and mainly a fear of the AR platform can be at times difficult. This can be due to the noise or the simple fear of recoil hurting them. I like being able to start someone off with a .22lr and getting them comfortable using one gun with one set of controls and then being able to graduate them to the .223/5.56 calibers. In other words, you can train on the gun that you will graduate to. This makes you comfortable with all the different parts of the gun that you will shoot long term. This is a great way to watch people get over their fear and really start to enjoy the sport. I have to say, as an owner of over 15 different coolers, this is my best cooler to date. The Roadie 20 is great for range days or car trips. This Yeti is for when you don’t need to keep all your food and drinks together for a month long safari. The Yeti Roadie 20 is small, but when you are carrying out as much gear for a range day as I do, you don’t want a monster ice chest taking up space. In our Texas heat, you just want something that will keep your drinks COLD! This fits the bill. We can fill this Yeti with 16 bottles of water and 10 pounds of ice for a day trip. You can pick up your very own at the link below: this is an affiliate link where we make a small commission on sales. This is one way that you can support this website, if you are going to purchase something anyway. We appreciate it too! Here is a collection of what we thought were some of the best every day carry items (EDC) and Range Gear that we got photos of at the show. or the lovely Black OPS made for the NRA. Atticus James is traveling in India for the month of February. You can follow his adventures at AtticusJames.com. In the meantime, he has left all of his photos from Shot Show 2016 for those of us left behind to post for him. (This would explain any issues with photos being mislabeled. Apologies in advance if this happens). By Atticus | January 18, 2016 - 9:09 pm | January 18, 2016 Cleaning Kit, Gun of the Day, Gun shows, INFO, Long Range, New Guns, NEW!! !, Products we like, Range Day, SHOT 2016, SHOT Show, Suppressors, Top 10, WANT! The crew shot 960 meters for the first time with a .308 and rang a 16″ gong. Silencerco had a .45-70 lever action suppressed, which was fun. We used the Geissele AK enhanced trigger and made it our new favorite AK (sorry but this trigger is amazing and I need it for all of my AKs). That one booth that had mints and they were tasty…. Kriss is talking about releasing new calibers such as the 10mm, 357SIG, .40S&W and .22lr. My burrito was fairly tasty, minus the fact they put all the guac in the bottom and it wasn’t mixed in. (sad face panda). Click on the photo to see all the photos. We will get some captions uploaded at a later time. Just wanted to get the photos up for everyone to see what happened the first day of SHOT SHOW 2016. Stay tuned for updates! While visiting with one of my cousins on a recent layover in Dallas, we started talking about her sister who works for Meade Instruments in the marketing department. I went home and checked out Meade’s site. I had found they had a few sporting optics. I wondered why I had never heard of Meade before. I explored the website further and I looked into their sports optics. I found their target audience to lean more in the general sporting optics needs and astronomy. I called my cousin and she set me up with a Meade Instruments Wilderness 20-60x100mm spotting scope. I requested the largest scope they make because we are trying to see 6 to 8mm holes at 200 yards. My general rule of thumb is, the bigger the optic the better chance of making out what we just hit. Meade high-quality, 20-60 power, zoom porro prism binoculars deliver years of use. Large 100mm objective gathers plenty of light for bright detailed images. All Wilderness spotters feature high index BaK-4 prisms and high-quality, precision ground lenses that are coated with multiple layers of anti-reflection coatings to provide optical performance that is equal to, or better than any spotting scope in its class. Each Wilderness spotting scope features a sliding sunshade to further reduce glare. A rugged rubber armor covering protects your Wilderness spotting scope from abrasions and damage from regular use. All Wilderness Series spotting scopes are waterproof, fog-proof, and nitrogen purged to ensure many years of performance regardless of the environment. All Wilderness spotting scopes come standard with the soft case and camera adapter (requires T-Mount, not included). I asked if they manufactured any of the scope parts or glass in the United States and sadly the answer is no as they manufacture in Mexico and China. I used this scope during all of our range trips as well as during the September 2015 blood moon eclipse. We were fortunate enough to be able to see that event clearly here in Texas. I own only one tripod. All of the others are owned by Clay, our videographer. My tripod is a super expensive one, a $9 deal, that I picked up on Amazon a few years back. I have only used cameras with this tripod prior to this and it had always been fine for that use. This tripod however did not work well with the Meade Instruments spotting scope. The weight and balance of the Meade scope needs a better built tripod. With that said, the only time this was a big problem was when we used it for the lunar eclipse. Trying to keep the scope centered on the moon was challenging. During all of our range trips, the scope was clear and crisp when defining each shot taken at 200yds. We only ran into trouble using it to define each hole in the paper at 300yds. If you are planning on using this scope I would recommend a stronger tripod first and foremost. The scope performed well for us up to 200yards and that was our max. The MSRP is $380. I found the price of this scope to be about $260 online, which is a fair price in my opinion, for the quality of the scope. The scope comes with a carrying bag. As someone who had to carry out two trucks worth of gear for an average range day, I would definitely want to replace the bag with a hard case with foam. I like to keep my gear protected. By Atticus | November 5, 2015 - 5:00 am | November 4, 2015 .45ACP, 2015, Ammunition, Christmas Gifts, Cleaning, Conceal Carry, EDC, Flashlight, Gift, Gifts, Glock, Hoilday Ideas, Magazines, Pistol Caliber, Pistols, Product reviews, Products we like, Rail Attachment, Range Day, Review, Semi-Auto, SHOT 2013, SHOT 2014, SHOT Show, Subcompact, WANT! I like the idea of not trying to be in the first wave of bloggers to review a firearm. I prefer to wait a year after a product comes out to review it because it means I have a chance to request to spend more time with a firearm. That way I get to know it more mindfully without worrying about the other reviewers waiting in the long line to test a firearm out. I own a few Glocks and my favorite of all of them is my Gen 2 G21 .45ACP 13 round pistol. I requested the Glock 30SF for review about 5 months back, after seeing it at SHOT Show 2014. I have always been someone who loves the .45ACP over just about any other pistol cartridge, because of the size of the round. I like knowing I have the power and punch that comes with the .45ACP cartridge. The old saying about carry a bigger stick comes to mind. I do not believe that this love of the .45acp affects or deters my abilities to do my job when looking at different calibers with an objective view point. Let’s face it, they are all fun to shoot. As I said, I requested more time with this gun to get 1 or 2 more rounds down range. This brought my round count to around 2500 rounds of ball and jacketed hollow points. I never holstered this pistol, as I use a large frame drop leg holster at the range. When I first pulled the Glock 30 SF out of the box, the empty mags wouldn’t drop freely. I loaded the mags with 10 rounds each and fired all 20 rounds. After that, they had no problem falling free when I hit the mag release. My groupings were better when I was running my Glock 21 mags out of the pistol because I had more real estate to grip the gun with allowing for better control. The 10 round mags just barely allowed for my pinky to be on the gun, not giving me as tight of a grip. The difference was a stray round left or right after shooting a few mags. Normally I don’t worry about keeping review guns clean after every range trip. I like to see how they handle and if they slow down as they get dirtier. I didn’t do that with the Glock 30SF because I didn’t feel there was a need to test something that had been shown for years that even dirty, they work. I cleaned the gun after every range day and the most rounds put through it at any one time was 800 rounds of Federal American Eagle Pistol .45 ACP 230 Grain FMJ which in my opinion is decently “clean” ammo compared to the Wolf and Tula Steel case. There was just really no good reason to torture test this pistol. When I opened it up, I saw exactly what I expected. One thing I have always noted with Glock is that they typically will shoot any brand or ammo type I run through them. I tested a box of brand new Tula steel case. After 5 light primer strikes without any ignition I switched the ammo to my 1911 and didn’t have any problems with the ammo. I have seen this problem before using the Wolf barrel on my Glock 21. However, when using the factory barrel, this was never an issue. I believe this was caused by the Tula primers being seated deeper than spec. · And a few other brands from people who shot the gun with ammo they brought. The speed loader they ship is a good thought, in theory, but in my hands it was slow and frustrating to use. I was always faster hand loading each mag than using the speed loader provided. When trying to load the .45s into the magazine you still have to push the previous round down as the loader doesn’t offer enough room for the brass to slide in. The efforts are almost that of hand loading the mag without the use of your thumb on the round. This seems like more procedure and steps to just load one round. I do own a Maglula for pistols I found that I was faster using that then by hand. The speed loader isn’t bad; it just did not work well for me. A few of the other crew members had better luck with it. Everyone did agree, in the end that the Maglula was the fastest. After getting out of college, my father and I figured if my sister was going to be living alone she needed a pistol to keep at her place. My sister has grown up around guns. She enjoys shooting with me every now and then. She likes my Glock 21 and is a fairly decent shot with it. I did not want to part with my Glock 21. When I heard one of my friends was selling his Glock 22, I jumped on it and picked it up for a really great price. I thought about giving it to her, but I just like it too much. My sister has always lived within a 40 minute drive from my folks so we were never worried about her. Recently she has been looking for another job outside of the state. She has also been expressing more and more interest in getting her conceal carry. I looked at a few pistols for her but it always came back to wanting the .45acp. I view conceal carry pistols as something you should WANT to shoot. If you enjoy shooting it, you are more likely to train more with it than something you just carry because you were told to. For Christmas I have ordered a Glock 30SF for her but now I am sitting here wishing I had ordered one for myself. You just can’t have too many guns, right??? The Glock 30SF has a rail for a light or laser mount. I don’t currently own any pistol lights or lasers due in part to the fact that I haven’t found one that has sparked my interest yet. I honestly haven’t looked that hard either. I am always open to recommendations. I would equate the recoil to that of the larger Glock 21. This surprised me the first time I shot it as I was expecting a little harsher recoil. Later, I put one in each hand (the 21 and the 30SF) and I could feel that were pretty close to the same weight. I guess I should not have been surprised. At this time in my life I do not conceal carry. 90% of the time I leave the house, the place I am going will not allow me to enter with a pistol. This makes for a tough choice for me, do I carry in my truck and risk someone breaking into the truck because it is older or do I leave my gun at home and just pray I am never in a place where I need it? I tend to keep my gun at home. One of the crew members is a police officer and I am normally within arm’s length of him. On top of that I live in a good area with very low crime. I want to tell you that my shot groups looked like I only hit the target with one round. The truth is, even if the gun was that accurate I am not that skillful. The subcompact design is not meant for competition shooters, it is meant for conceal carry. In a conceal carry situation you are not going to try and engage the target at 300 yards like you see in the movies. This pistol, for me, was just as accurate as any of my other Glocks. I can hit a man size silhouette at 50 yards. I have been a fan of Glocks’ for years (I know, you couldn’t tell). The subcompact Glock 30 SF is just another in a long line of quality pistols they are known for. While picking up this pistol from my FFL I was asked if I wanted to purchase their Glock 43 Single Stack 9mm. My only comment was, why mess with 9mm when you can have the power of a .45acp? I wish I could get more range time with this pistol just because it is fun to shoot. If you get the chance to send some lead down range running this pistol I highly recommend it. As said earlier in this article, I will be gifting this gun to my sister. That being said, she has shot many different calibers and pistols. She knows how to handle her firearm and herself. She knows she prefers Glocks. This was an easy choice for me. As it is getting closer to the holiday season I would like to add this word of advice to anyone thinking about buying any pistol as a gift. If the person you are purchasing for owns a lot of firearms as it is and you know for fact they are comfortable with different pistols, go for it. If not, please think about taking them to a store and seeing if they like the pistol first. I have seen too many couples at the range, where the guy bought a pistol for his significant other without letting her size the gun up first. I see them getting into situations that makes everyone uncomfortable. It can occasionally put them and others in harm’s way since they cannot handle the firearm yet. Buying a caliber that someone is not comfortable with shooting yet can cause people to be turned off by shooting. It can even cause them to mishandle the firearm and put themselves and other people in a dangerous situation. Introducing someone to a firearm first is always the safer bet so they get a chance to have some hands on time. They can say whether they like the weight and if they like how the gun shoots. I know you are not always able to test first a gun before you buy it, but it is worth renting that caliber firearm first. I strongly recommend letting the gift receiver try it out at the range to see how they respond. This is always a smart idea. 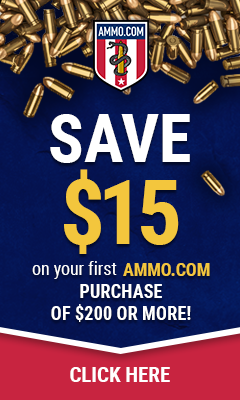 Firearms make a wonderful gift, just make sure it’s a wonderful experience. By Atticus | June 3, 2015 - 5:00 am | June 7, 2016 .30 caliber, .30-06SPRG, .308Win, 1919, 2015, Ammunition, Cleaning, CREW, Distance Shooting, First Impressions, Gun, Gun of the Day, History, Machine Gun, Military Arms, NEW!! !, Ohio Ordnance Works, PanzerFaust, Pelican, Pistols, Product reviews, Products we like, Range Day, REALLY?!? !, Review, Rifles, Semi-Auto, SHOT 2014, SHOT Show, Stocks, Story, Tools, WANT! Before I talk about this 1919A4 belt fed firearm I have to talk about Ohio Ordnance Works. I have never met them in person but I can tell you I have the upmost respect for the men and women of this company. Normally when working with a firearm manufacturer I work with one person and if I have any problems they are the only one I can contact to get a problem resolved. This company however is not like that. When I had a problem with the 1919 on a Tuesday morning I did not speak to my contact Bob Conroy I spoke with the owner directly. I will talk more about that a little later on and help further explain why I have to open with these comments. The OOW M1919A4 is classified as a belt fed rifle. The machine gun classification is for full auto only, making this gun a semi auto and available without a NFA tax stamp. As many of you may have already seen and heard, Ohio Ordnance Works has redesigned the BAR and made it their H.C.A.R. (Heavy Counter Assault Rifle). This is a very cool looking rifle but it honestly was not the first thing that peaked my interest when I first came to their website. While scrolling through their guns I saw the semi auto 1919A4 Bundle which is a SEMI AUTO belt fed tripod rifle. Side note: this means you cannot put the sig stabilizing brace on this and turn it into a pistol (I found this out at my FFL holders shop when I told him all the cool kids were making pistols and I wanted one too). When I saw that, the first thing that went through my head was this is AWESOME! who doesn’t want to own a belt fed gun? and that is when I saw the price. $3,997. I honestly figured they would have this priced to be closer to $7000+. On top of all of that, the gun at the bottom of the page is a 1919A4 with a Cleaning Kit, Manual, Headspace & Timing Gage, and the .308 Trunnion Shield for $2500. YOU ARE TELLING ME I CAN OWN A BELT FED RIFLE FOR THE SAME PRICE AS 2.5 AR-15s? Sign me up! Let me put two images in your head. 2. You pull up to your private range, back up into your bay, unload a 1919 A4 out of your truck and not give a s**t about what anyone else thinks because you own a belt fed tripod rifle of glory? When my gunsmith got the M1919A4 in he told me he saw the parcel service driver spending more time than normal in the back of the truck so he walked outside to see what the deal was and the driver told him he needed to get his dolly to carry this box into the shop. My gun smith told him that he didn’t need to worry he would just help him carry it in. In his words, “that was a mistake”. The pelican case isn’t grossly over heavy but it’s a long case that is meant to be carried using the handles or rolled using the built in wheels, making it easy to move. In the cardboard box it was heavy and awkward. Our good friends over at Luckygunner.com sponsored the .308 used in this review. 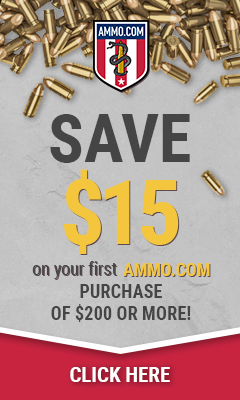 Be sure to check them out for all your ammo needs. When the rifle first came in Ohio Ordnance Works was out of stock of the linker so they shipped it without one. The crew and I had plans to get this gun on the range as quick as possible because it was going to rust from all the drooling if we didn’t. I called over one of the guys to come help me hand load 500 rounds and I can tell you from experience this is a bloody ordeal and I am thankful I never have to do that with this gun ever again. It took two people about an hour of linking to get all the belts made (we made them into 40 round belts.) When we got the linker in a few days later, it took me 23 minutes by myself to do the same amount. As I said, we shot 1000+ rounds of .308 through the M1919A4. It was the most fun you can have without full auto. I tried both the spade grip as well as the standard grip and both of them are fun to shoot. I think I like the standard grip more because it means I don’t have to take the M1919A4 down to put it back in its case… maybe I am just lazy. This gun comes with a membership to videos on how to change the barrel and take apart the gun and they do a much better job at explaining this than I can. I will say I have watched the videos every time I have cleaned this gun and when I had to fix the gun to insure I don’t miss anything. The videos are helpful and comprehensive. I am happy about breaking the gun because of the experience I had afterwards. I hate breaking guns. I know as a reviewer I can be hard on gun but normally we know their limits and where the maximum amount of safe operating abuse is and we err on the side of caution. This however was not abuse. We were still warming the M1919A4 up when it bent. This killed the mood at the range. Since this is a review gun and it was a weekday morning I called Ohio Ordnance Works to try and figure out what had happened. I spoke with the young lady who answered the phone and she told me, Bob Conroy wasn’t in the office. She transferred me to Mr. Landies instead. Under stress, my vocabulary resorts to almost grunting so when Mr. Landies got on the phone and started helping me he was very understanding at my lost of proper terminology and told me that a picture is worth 1000 words or in my case 3 words and a grunt. So I e-mailed a photo of the bent part and he e-mailed me back just a few minutes later asking for a shipping address. The following day I had my whole family over for lunch. When I got a knock at my door from the shipper with the part, you might say I was very surprised. I had figured I wouldn’t get this gun fixed for a few days at a minimum, but they overnighted the part to me. This blew me away, no one does that. No one ships you the part overnight unless it is a dire emergency. To say the least, I was impressed. About a month ago, while on Instagram, I saw that Ohio Ordnance Works had posted a picture of a gentleman holding a beautiful rifle with the caption of Happy birthday boss… Mr. Landies. As it turns out I wasn’t transferred to some shop floor guy who builds the rifles but to the owner of the company. Again… no one does that. After fixing the gun we took it back on the range a few weeks later and the gun ran like a champ. The gun is battle tested. I never had any doubts that this was a good gun, if it wasn’t, it would not still be in service all over the world. While owning this 1919A4 only makes me feel cooler in my head, I know that I will not be taking this out to the range every Sunday. I know that it is a special occasion gun than is very expensive to just play with. This is a gun that has a lot of history attached to it and since Ohio Ordnance Works has made this M1919A4 to be as affordable to own as possible I think it is a very nice piece to have in anyone’s collection. Plus, when your friends are bragging that they own a Tavor or a SCAR 17 you can just look at them and say “that’s cute, I own a belt fed tripod rifle”. I have been very impressed with this company from the first time I spoke with them on the phone. They have always been very helpful and ready to work with us. I know I say this a lot, but I truly love the gun community. There is, bar none, not a single community with more caring and awesome people. By Atticus | May 12, 2015 - 6:00 am | September 9, 2018 .45ACP, 1911, 2015, Cleaning, Conceal Carry, CREW, First Impressions, Gift, Gifts, Glock, Gun, History, Holsters, Magazines, Pistols, Product reviews, Products we like, Range Day, Range Gear, Remington, Review, SHOT 2014, SHOT Show, Story, Tools, WANT! When I was younger I fancied myself a “Glock” man. In all of the debates with my friends I held true to my Glock fandom and that there wasn’t a 1911 on the face of this earth that could sway me. I have grown up a lot since then and I have experienced one or maybe two more guns since I was a youth. As I have matured and become a reviewer, I know that my tastes and knowledge has grown with me. I have been on the hunt for a 1911 that I could put the Atticus James stamp of approval on for about 2 years now, and I can say I have finally found it. Before I get to reviewing this gun I wanted to share a story with you. As some of you know, I name my guns like they are my children and each firearm has a name that relates to a part of the gun and how it came to be mine. On Valentine’s Day 2015, I picked up the Remington R1 1911 and the OOW 1919 (it was my month of ordering firearms designed in the 1900s). I opened the Remington pistols’ hard case and saw the gun for the first time. I instantly knew her name. Cupids Bow (Cupid for short). Because if Cupid was real it wouldn’t carry bow and arrows, it would carry this .45ACP, so when you get hit with love it feels like a Mac truck just hit you. This is how I felt when I first held the Remington R1 Enhanced and again when I first shot this pistol. Love hitting me like a Mac truck. I am not a good shot with pistols at anything farther than maybe 10 feet. I am working at getting my accuracy better but it has taken time. When we first took the Remington R1 Enhanced out to the range we were working in our back bay that goes out to 182 yards. We had been shooting our OOW 1919 out to the 50 yard line. We had to take a break from the 1919 and moved over to pistols for a bit. After shooting about 250 rounds down at the 7 yard with the Remington R1 Enhanced I decided to ring steel at 10y and 25 yards. I felt super confident after ringing in the silhouette at 25 yards. I wanted to try my hand at 50. After about 3 shots of walking up I rang the steel. For some of you this is nothing and I understand that, but for me this was AWESOME! When I moved over to the knockdown plate rack I was averaging about 90% hit rate at 10 yards. I let my sister try this pistol out and she noted it was heavy when she first picked it up but after shooting the gun and seeing how the weight helped her follow up shots I think the heaviness didn’t bother her after that. The crew got some time behind the gun and I heard things like “they can take this from my cold dead hands” “dibs” “do you think Atticus would notice it missing if I sneak it under my shirt and take it home”. I don’t like the prickliness of the grips. I understand the reason being that it adds more slip resistance, but I am not a fan. I found that the screws were loose on the grips when I got the gun. After tightening them they haven’t backed out once. After the first day of shooting, the muzzle was very caked with carbon and powder. I always use M Pro 7 cleaner on my guns and after taking the Remington R1 down and spraying everything with cleaner all the carbon just wipes off and returned the gun to a shiny new-ish gun. When shooting the next 1500 round (maybe 200 rounds in) is when we had our first and only failure to fire. I was being bad and using an old box of Tula and I believe the round was just bad. After cleaning the gun it is still shiny and looks new. The fiber optic front sight needed to be cleaned with a q-tip but still is red and very visible . I have been using Blazer 230 Gr FMJ .45 Auto ammo in my .45s for years now and I have never really had any problems with it. I used 1600 round of Blazer, 50 rounds of Tula Ammo 45 ACP 230 Gr. FMJ Steel Case, 50 rounds of HPR .45 AUTO 230 JHP (the round I used to hit steel at 50 yards) and the last 300 rounds was Monarch brass .45 ACP FMJ. Remington ships a plastic barrel bushing wrench with the pistol making the take down easier. The gun takes down just like any other 1911. I have a Geissele Super Semi-Automatic Enhanced (SSA-E) Trigger in my AR-15. I have been complimented on this trigger more times than I can remember. The Remington R1 Enhanced Trigger is very similar. The trigger had a little more play left and right then I like but the pull and the reset are crisp and clean. It is like drinking a nice cold glass of water on a hot summer day. This trigger quenches that thirst like very few can. The adjustable rear sight and fiber-optic front sight (red) make for an easy to see and quick to draw sight picture. Out of the box the pistol was dead on at 25 yards. When holstering this pistol in my drop leg holster I never had any problems with it snagging on the front sight. I never carried this pistol concealed because I do not have a holster to fit this gun. In the case, it has a cut out that I could not figure out for the life of me what went there. As to why anyone would store this in the hard case is beyond me but I guess if you are wanting to give this as a gift with the tool included it would make for a nice one piece gift. The Remington R1 Enhanced is a custom factory made gun. Fit and finish on this pistol makes that apparent. I loved this gun. I have never shot Remington’s other 1911s but my gunsmith said he has never been happy with them and that he only liked what Remington had done with the R1 Enhanced. 2000 Rounds and only one issue is good odds. Especially if that was only due to bad ammo. At $940 MSRP it is hard to beat the price for a custom gun. While this gun would make for a nice piece to display it is also a firearm you could can shoot day in and day out.